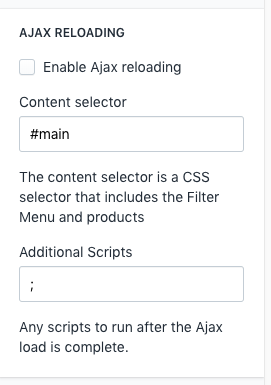 Enable AJAX to prevent the page from reloading when you click the filters. You can enable AJAX in your Shopify Admin ->Online Store ->Themes ->Customize ->Collection Pages ->Theme Settings ->Filter Menu ->Ajax. 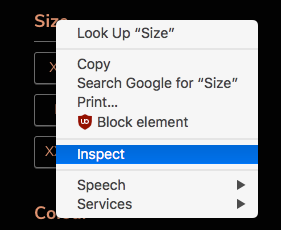 It should prevent the page from reloading every time you select a new filter. Note however this usually does not work in the theme editor in Shopify, it only works in the theme preview or the live site. This may not work for all themes by simply checking the checkbox, as it may need the jQuery/CSS selector of a <div> or other HTML element that contains the Filter Menu, and the list of products. You can find this by right-clicking on your store, and going to Select Element in your browser. This will allow you to find a selector that we can use in the settings. For example it could be #main for an element with id="main", or .MyClass for a div with class="MyClass". Be sure to check that there is only one element that matches this selector, or you may get odd results. If that doesn't work for your theme and the page keeps reloading, please, let us know!